Is anyone else jumping up for joy that spring is officially here!? With spring comes the chance to wear a verity of pastels. I always look forward to bringing out more soft blush hues but this year I’m all for more yellows and greens. 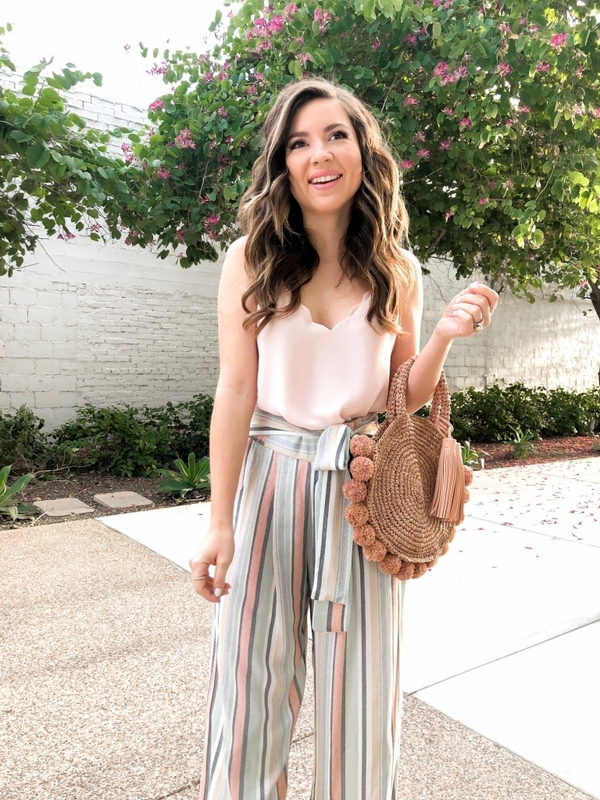 That being said today is the perfect day to share with you all 4 ways to wear spring pastels + reminding you of a giveaway you still have time to enter! Last year around this time of year my family and I were gearing up to head to Panama and I was coveting all the breeze pants I could find. Flash forward to this year and well I just can’t say no to them again! Who would?, I mean hello! more room for all the tasty treats! 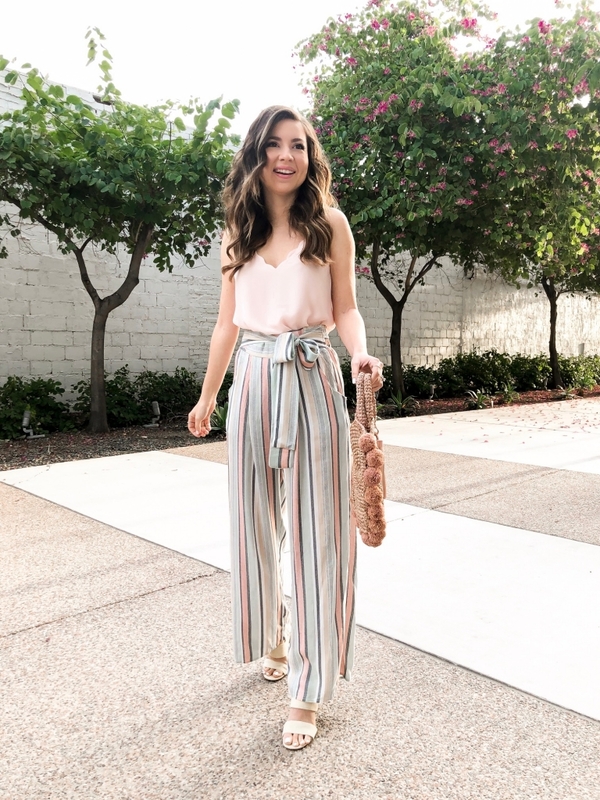 Pastel tie waisted pants ($45) are not only a great way to hide that extra slice but in soft colors like this they also add a soft spring flare. 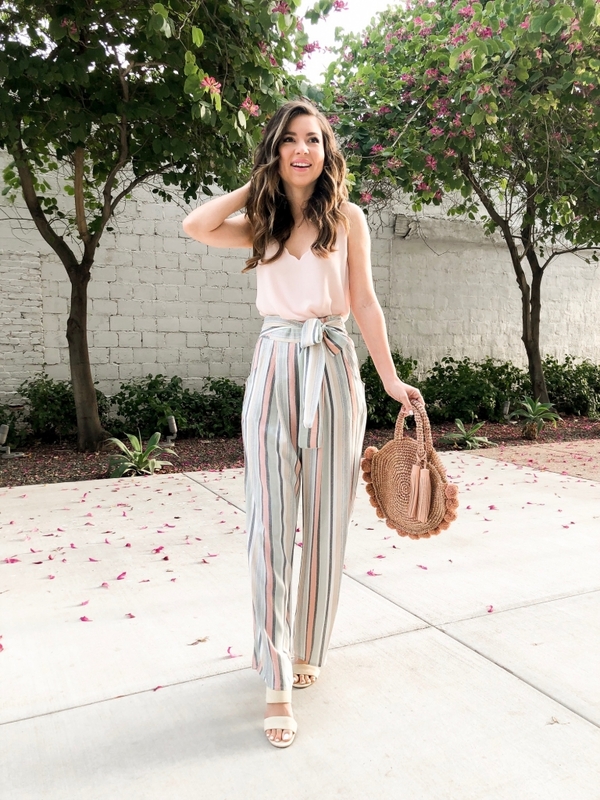 Striped pastel pants like this go great with other pastel colors but if you want to break it up you could do that as well. Try breaking it up with a white tee or denim jacket. Another way to wear pastels is with a dainty top. This delicate scalloped cami is a great option and is versatile. I love tops like this for a casual date night or even paired with white crop pants. 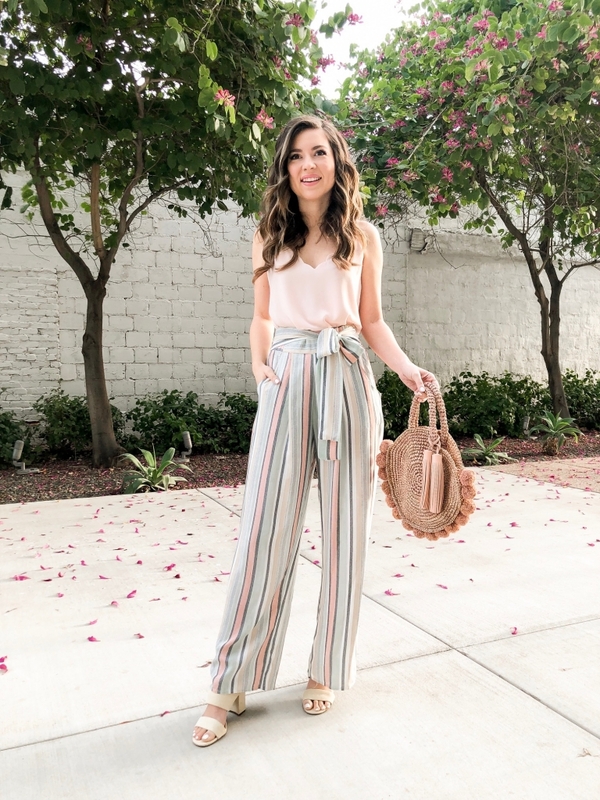 The last way I want to share with you on how to wear spring pastels is with accessories. The two options I tend find easier to incorporate are with handbags and shoes. I have seen so many pastel colored handbags lately! My favorites one are the circular shapes ones though like the straw bag i’m wearing. Mine is from last year but it’s still available (linked below). If you are looking for a way to add just a dash of pastel try adding in cute sandals with your everyday jeans or shorts. I can’t get enough of these yellow buckle ones! After today’s post hopefully you will have found some fun ways to wear your pastels this spring! I know I’m fully on the spring pastel bus myself. If you haven’t already entered in my latest giveaway you can do so below! There is sill time to enter! Thank you for reading today’s post! PS if you are look for more striped inspo see this post from last week!